ETSY, ESTY, ESTY...need I say more! Subway signs have been a hot decorating item lately. They have been featured in many magazines and sold at many major retailers. These two signs from Restoration Hardware range in price from $650 - $850.....a bit pricey for my pocketbook!!! A perfect gift for the bride and groom that Rebecca personalizes with the couple's love story. It can be whimsical like this print, or it can be a re-creation of their invitation. This fun typography print pays tribute to some the best golf courses around! A perfect gift for the golf lover in your life. Paper Bleu Studio offers both Giclee vintage canvas style and art prints in a range of sizes. And for those interested in a more custom prints, Rebecca will create a lovely, personalized piece with you together. As part of our weekly Monday Market & Giveaway, Rebecca is offering a $39 gift certificate for use in her Etsy shop. It can be used to purchase any one of the items at this price point or it can be redeemed towards any other purchase as well. Just visit Paper Bleu Studio on Etsy and find your favorite design. Then, come back and post a comment letting me know which one, two or three you like best. You will fall in love with her designs! Remember, you must be a subscriber of my blog in order to win. The winner will be announced Sunday, September 25th. Inspired by Rebecca's art, I thought I would try to create my own subway of Pittsburgh. I first purchased a 12" x 24" canvas at Michaels (of course, using a 50% off coupon) and then I hit the web for a tutorial. I found a large number of them but so many of them required you to cut your own stencils and then place them strategically on your canvas etc... To be honest with you, it was just too much work for me. So, PowerPoint came to my rescue. I set my canvas size and then used a number of different fonts for the names and places from Pittsburgh. Once I was pleased with the overall layout, I changed to background color to black with all the typography in white. To make it just look just a bit more authentic, I then used Background Style 12 to make it appear more realistic. Come back and see what I feature on next week's Monday Market! Amazing art. Love the Golf one, but if I won I would have to decide on one of the wedding/i do canvases for a sweet friend that is getting married. Well of course I love the wine list!!! These are great. The golf art would be perfect for my husbands home office. I have wanted to try to make one of these but it seems like a lot of work! Yours turned out wonderful. That's so awesome! I'm from Pittsburgh and I almost never see cool Pittsburgh stuff so I love this idea! I love subway art! So much fun!! GREAT! Admire that you tired makin one. Good job. I love the subway art beach typography sign! Cuteness! These are adorable, I love them all...but the hubs and I are creating his man cave, so I would have to pick the man cave one! He would LOVE it and it would go so great in his space!! I LOVE the subway art sign family rules! these are my FAVORITE! Oh my...so many great ones...think I like the House Rules the best!! I like the Love Inspirational, Birth Announcement, and the Zodiac signs. Her work is anazing! I like the wedding invite and the love inspirational quotes, but I would have to go with a custom love story. My dh and I met when I was four days old. Then he moved. We met again in HS (my first date & first kiss) then we moved. We met again after 911. This time we dated for real. Then we got married. Of course that is the condensed version. LOL. I love them all!!!! Hugs and wishes for a happy weekend! But she has some very cute ones! Newest follower also and would love a follow back! 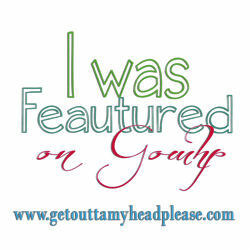 i would love for you to link this up to the flashback fridays party going on over at my blog. it will be going all week! This is way cute-you could do this with chalk paint too. Great giveaway! Torn between the subway art New Orleans and the trio of Mademoiselle, Coquette and Femme Fatale. I love the Aries Subway Art! I love the personalized one and the Subway Art Sign Family Rules. So cute. Visiting from Friday Boost Bloggers. I'm having a blog party today. Stop by.